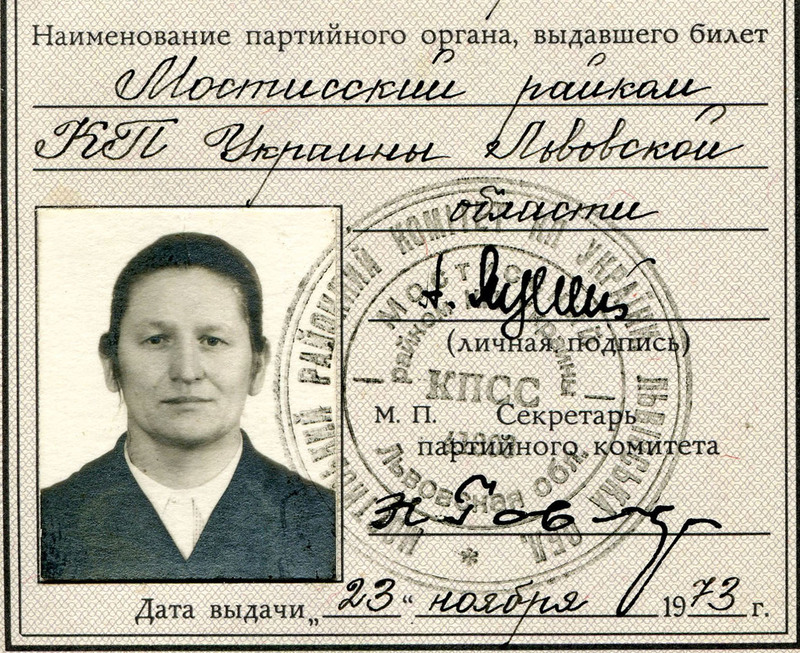 The first line is her surname, with, printed in Russian “F-A-M-EE-L-EE-YA” with the Greek ‘Phi’, which is the word for ‘surname’. This lady is called “YA-TS-YEY-KA”. “я” is the sound “Ya” in English or “ja” in German. “YEY” should rhyme with ‘play’ and ‘stay’. There is an ‘o’ at the end of the name but it would be pronounced like the “a” in ‘Carolina’. So her surname is “Yatsyeyka”. The next line is her first name, which is “A-L-EE-S-A” …our “Alice”. Both names are handwritten in the special handwriting alphabet. The next line is what is called a patronymic which is a name taken from your father. Alice is “I-V-A-N-O-V-N-A”, so her father was Ivan. Her patronymic is feminine. As a man, I would be “Frederickovich”. It’s no different from being “Svensson” or “Jonsdottir”, which would be my daughter’s name if we were Icelandic. 1932 is Aleesa’s date of birth, and “A-P-R-YE-L 1964” the date when she joined the Party. 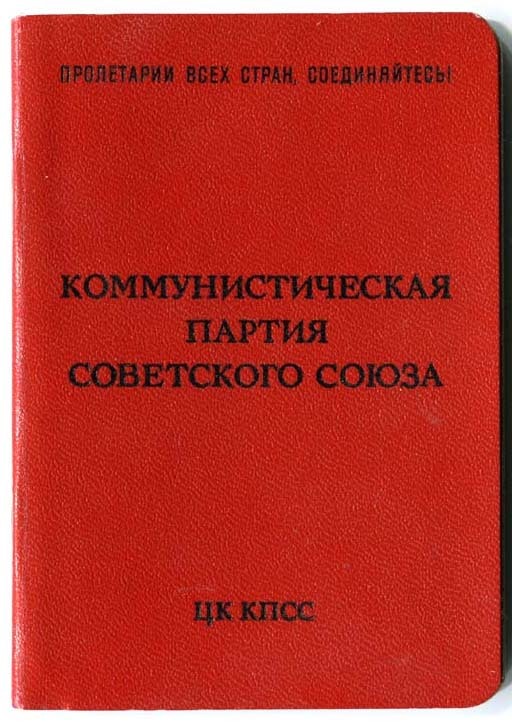 The bit above the photo refers to the issuing authority which is near Lvov in the Ukraine (now Lviv). 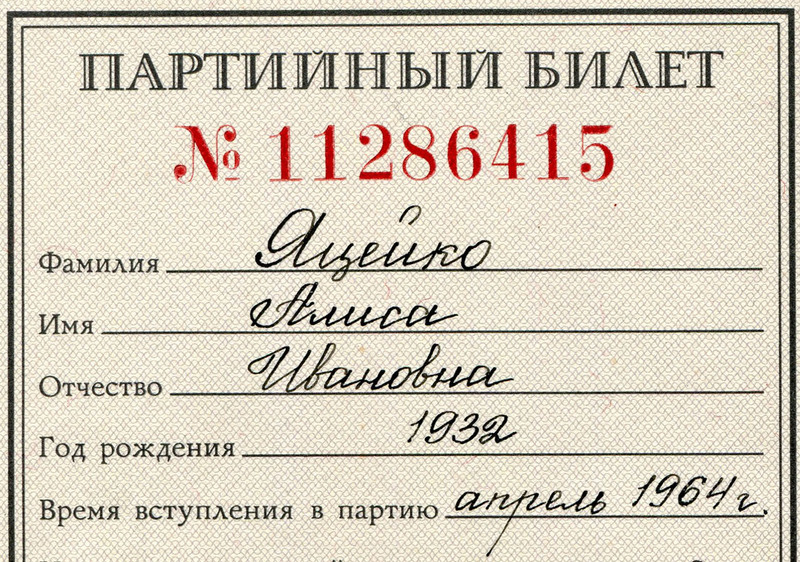 Aleesa received this particular membership book (bottom line) on November 23rd 1973. She may not be much of a looker, but a lot of Russian ladies are. In general, St Petersburg has the reputation of having the most beautiful girls, many of them with pale skins, brown eyes and very dark brown hair.